← Greenwich, Conn, Jacksonville and Beaulieu. Bikers everywhere will be kick-starting their engines on Sunday 13th July and heading for the fifth annual Motorcycle Ride-In Day at the National Motor Museum, Beaulieu. Jump on your bike and take a trip through the stunning New Forest to Beaulieu. 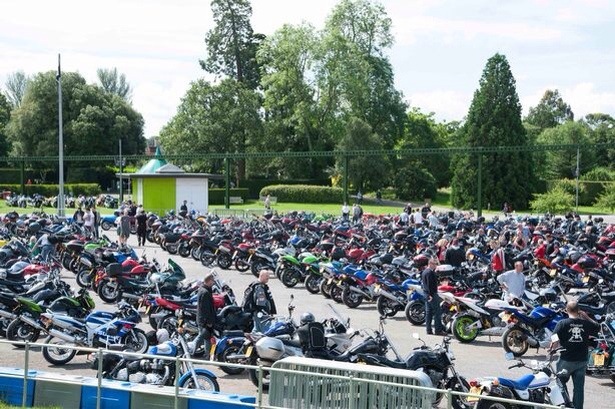 Display your bike in the attraction’s picturesque parkland, meet other like-minded enthusiasts, and enjoy the Beaulieu attraction, all for a fantastic on-the-day price of £10 rider and bike, £15 with pillion, less if purchased in advance. Watch amazing tricks and stunts in performances from 3 times British Trials Champion, Steve Colley, as well as the incredible Solent Eagles, children’s motorcycle display team. Don’t miss the National Motor Museum’s new permanent display, The Motorcycle Story, a journey through motorcycling history with machines displayed in their historical and cultural context, from some of the earliest examples of motorcycles to the latest racing machines. The display is accompanied by artefacts including clothing worn and trophies won by sporting greats in displays which cover varied racing disciplines as well as road safety, British ‘Mods and Rockers’ youth culture of the 1950s and 60s and the Ace Café scene. Check out the display’s Motorcycling Icons Wall of Fame, a gallery featuring the top twenty riders, as voted for by the public in a recent poll. Has someone been missed, is your favourite there? If not – make sure you vote for the person you would like to see on the wall. Browse a number of trade stands selling accessories, clothing, parts and all the latest biking gadgets. There will also be refreshments available all day from the Brabazon Restaurant and various catering units in the parkland. As always, visitors to Beaulieu will be asked to vote for their favourite bike in the People’s Choice Awards and in the afternoon, the winner will be presented with a coveted Beaulieu Trophy. This entry was posted in National Motor Museum and tagged Beaulieu, chrismacgowan, christopher macgowan, Motorcycle Ride-In Day, National Motor Museum. Bookmark the permalink.